Dallas goes Irish every year with the largest St. Patrick's Parade in the Southwest. More than 125,000 people come to the parade and enjoy a day of festivities along Greenville Avenue. Here's everything you need to know to make the most of your day. The two-mile parade route gets crowded early, so make it out before 10 am to get a good spot along the parade route to watch more than 90 floats go by. There's also special fan zones to experience, like the Mavs Corner hosted by the Dallas Mavericks and the Corona Extra Tail Gate Zone. If you're an early bird, sign up for Dash Down Greenville, a 5k walk and run that kicks off the day with an 8 am start time. Staying late? Get your tickets to Jimmy Eat World, this year's music headliner. 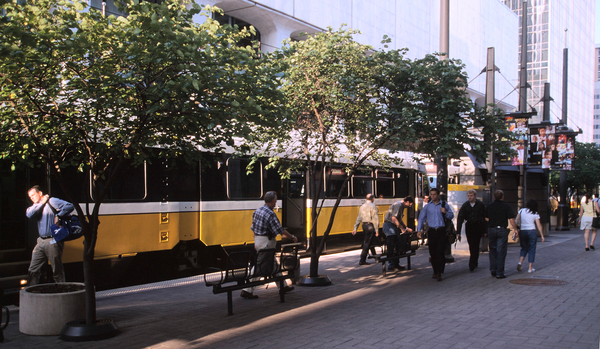 With thousands of people in attendance, DART is the easiest and quickest way to get to all the action on Greenville Avenue. The stations at Lovers Lane and Mockingbird Station are your best bet. Uber and Lyft are great options too! I really dig this place! Portobello burgers and beers in Dallas TX???????? Grab a table at Truck Yard to enjoy a cheesesteak or head to HG Supply Co for a burger on the rooftop patio. It's going to be a warm day, so top it off with a cucumber lime popsicle at Steel City Pops. For a Cajun fix, head to either Dodie's location along Greenville Avenue (there's two!) or Yucatan Taco Stand for their chicken nachos with all the fixings. All the shops along Greenville Avenue stay open during the festival and there's plenty to see. Get some Dallas swag at Bullzerk before heading to Transit Bicycle Co. to check out the latest accessories for your ride or Voodoo Chile for quirky finds and vintage pieces. Dallas' more than 350 parks and 160 miles of biking and hiking trails are perfect for every nature-lover out there. There are things to do outside for everyone.